Melatonin: Melatonin isn’t just for making a person sleep better. It can also improve menopause symptoms such as cognitive decline and aging bones. It helps the person fall asleep faster by regulating the body’s biological clock and sleep-wake cycles. It also increases total sleep amounts. Moreover, it improves sleep quality and REM sleep and reduces daytime sleepiness and fatigue. The antioxidant properties of melatonin protect brain cells. It does it by delaying — or even preventing — cognitive decline and memory loss. It can also strengthen aging bones. Magnolia bark: Traditional Asian medicine has long used the magnolia plant for its many benefits. These range from improved sleep and relaxation to decreased anxiety. It’s even used to treat allergies and asthma. Science has also shown that cut the time it takes for a person to fall asleep. Additionally, it also can increase the time a person spends in REM and NREM sleep. The bark can also relieve stress and soothe anxiety, something most menopausal women experience. It improves mood, treats depression, and enhances memory and learning. A lot of women in menopause experience weight gain. Taking magnolia bark extract can prevent it and reduce body fat. It can also improve insulin resistance and reduce triglycerides and cholesterol. The bark helps relieve joint and muscle pain, headache, and menstrual cramps. L-Theanine: The amino acid, found in tea leaves, can improve sleep and relaxation — without causing daytime sleepiness. It also increases GABA, serotonin, and dopamine levels. These, in particular, may help women who are experiencing mood swings or have difficulty concentrating. It can also improve appetite during menopause. L-theanine also reduce stress and anxiety. It does it by increasing the chemicals that promote calmness while reducing those linked to stress and anxiety. This may also prevent stress and age-related damage in brain cells. L-theanine may also help limit fat buildup and prevent weight gain. Magnesium: Magnesium is an all-around supplement because it plays an important role in most of the body’s physiological functions. It helps enhance sleep quality, regulates mood, and relieve anxiety and depression. It also helps maintain bone density, which is especially important for menopausal women. Moreover, it helps relax muscles and relieves joint and muscle pain in menopausal women. 5-Hydroxytryptophan (5-HTP): This helps the body make more serotonin, a neurotransmitter that regulates mood and sleep-wake cycles. It is indirectly involved in producing the sleep hormone called melatonin as well. It can be helpful for mood problems, stress, pain, and appetite control. Research has shown that it promotes relaxation, relieves stress and anxiety, regulates appetite, ease pain from a headache, and alleviates depression – all of which are beneficial for women in menopause. Cannabidiol (CBD): CBD, which is the supplement form of cannabinoid, is beneficial for people who experience stress and anxiety, pain, and sleep problems like insomnia. For women in menopause, it acts as an antioxidant, anti-inflammatory, and an analgesic in the body. It also treats mood problems, anxiety, and depression. 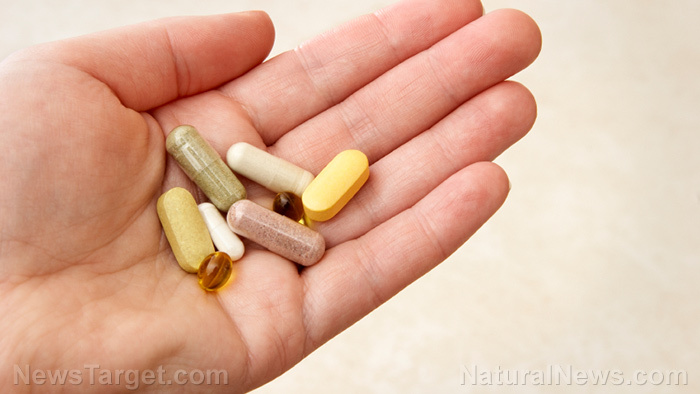 It is important to consult a health professional first before taking any of these supplements to know the proper dose to take, as well as its potential side effects and interactions with other medications.